Bovine respiratory disease (BRD) continues to be a serious health problem in beef cattle production. A multifactorial condition, BRD encompasses several types of pneumonia that are associated with multiple viral and bacterial agents. 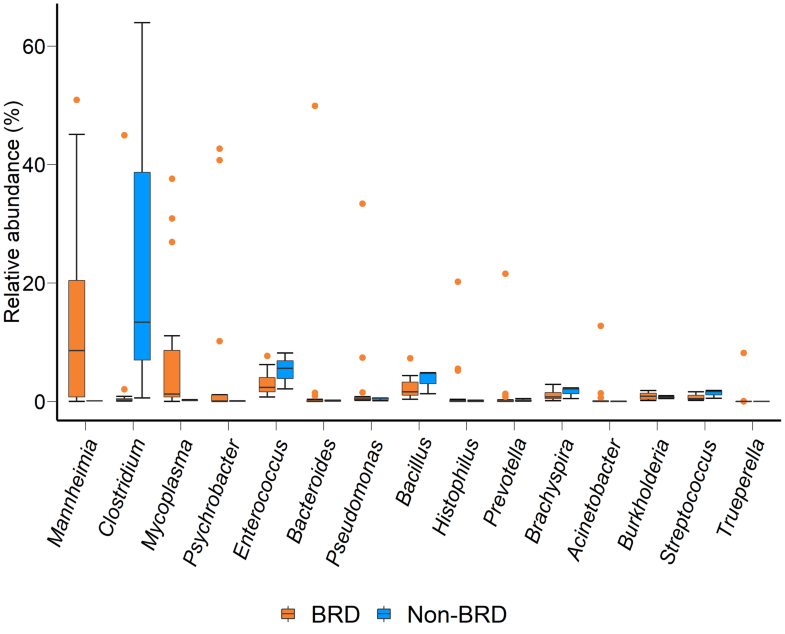 Comprehensive identification of microbes associated with BRD fatalities could enhance our understanding of the range of pathogens that contribute to the disease and identify new therapeutic targets. 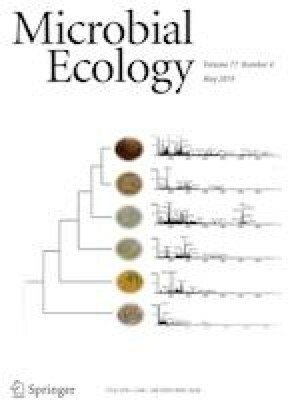 This study used metagenomic analysis to describe the lower respiratory tract microbiome and resistome of 15 feedlot cattle BRD and 3 non-BRD mortalities along with any affiliated integrative and conjugative elements (ICEs). Known bacterial pathogens associated with BRD, including Histophilus somni, Mannheimia haemolytica, and Mycoplasma bovis, were relatively abundant (> 5%) in most, but not all samples. Other relatively abundant genera (> 1%) included Acinetobacter, Bacillus, Bacteroides, Clostridium, Enterococcus, and Pseudomonas. Antimicrobial resistance genes (ARGs) comprised up to 0.5% of sequences and many of these genes were associated with ICEs previously described within the Pasteurellaceae family. A total of 20 putative ICEs were detected among 16 samples. These results document the wide diversity of microorganisms in the lower respiratory tract of cattle that have succumbed to BRD. The data also strongly suggest that antimicrobial-resistant Pasteurellaceae strains are prevalent in BRD cases in Alberta and that the resistance observed is associated with ICEs. The presence of ICEs harboring a wide array of ARGs holds significant consequence for the effectiveness of drug therapies for the control of BRD in beef cattle. Cassidy L. Klima and Devin B. Holman contributed equally to this work. The online version of this article ( https://doi.org/10.1007/s00248-019-01361-3) contains supplementary material, which is available to authorized users. We thank Susanne Trapp and Yidong Graham for technical support and Nicole Ricker and Adina Howe for scripts used to count BLAST hits for the ARGs and ICEs. This work was supported by the Agriculture and Agri-Food Canada Growing Forward II, the Government of Canada Genomic Research and Development Initiative, and by a grant provided by the Alberta Livestock and Meat Agency to investigate ICE elements associated with BRD. Samples were only collected from cattle that had naturally succumbed to bovine respiratory disease, so no animal care approval was required.